Heat and water stresses, individually or combined, affect both the plant (development, physiology, and production) and the pathogens (growth, morphology, dissemination, distribution, and virulence). The grapevine response to combined abiotic and biotic stresses is complex and cannot be inferred from the response to each single stress. Several factors might impact the response and the recovery of the grapevine, such as the intensity, duration, and timing of the stresses. In the heat/water stress—GTDs—grapevine interaction, the nature of the pathogens, and the host, i.e., the nature of the rootstock, the cultivar and the clone, has a great importance. 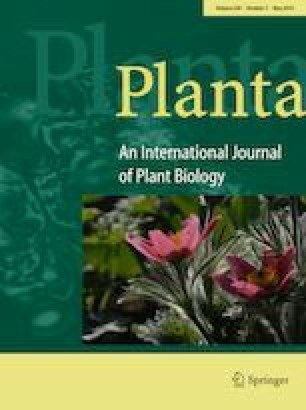 This review highlights the lack of studies investigating the response to combined stresses, in particular molecular studies, and the misreading of the relationship between rootstock and scion in the relationship GTDs/abiotic stresses. Grapevine trunk diseases (GTDs) are one of the biggest threats to vineyard sustainability in the next 30 years. Although many treatments and practices are used to manage GTDs, there has been an increase in the prevalence of these diseases due to several factors such as vineyard intensification, aging vineyards, or nursery practices. The ban of efficient treatments, i.e., sodium arsenite, carbendazim, and benomyl, in the early 2000s may be partly responsible for the fast spread of these diseases. However, GTD-associated fungi can act as endophytes for several years on, or inside the vine until the appearance of the first symptoms. This prompted several researchers to hypothesise that abiotic conditions, especially thermal and water stresses, were involved in the initiation of GTD symptoms. Unfortunately, the frequency of these abiotic conditions occurring is likely to increase according to the recent consensus scenario of climate change, especially in wine-growing areas. In this article, following a review on the impact of combined thermal and water stresses on grapevine physiology, we will examine (1) how this combination of stresses might influence the lifestyle of GTD pathogens, (2) learnings from grapevine field experiments and modelling aiming at studying biotic and abiotic stresses, and (3) what mechanistic concepts can be used to explain how these stresses might affect the grapevine plant status. This work integrated the “GTD free” project and was funded by the company Hennessy & Jas and the National Agency of French Research (ANR), and by the Grand Reims through the Chaire MALDIVE. We thank Sylvie Ricord for the English revision of the manuscript.